HEY HELLO and HAPPY MOO YEAR to everyone in the HeiferHood! I know many of you are long time readers - but hoof-loads of you are brand new, too (so hey, howdy doo, and how YOU doin'?) ... therefore.... in case you're new to the hood, here's a little pic of me - before (and before, and before) and now. When I meet new friends for the first time and the subject of weight loss or weight loss maintenance comes up - my ears always perk up. Why? Because I get it. I was pushing 300 pounds and could barely make it off my couch for the next round of Mountain Dew and cookies. The only weights I lifted were double-stuff Oreos by the caseful. It wasn't a great way to live. Not at all. One day I decided to make a change - it's like a switch in my brain was flipped on - and I decided it was time to lose the weight. I subscribed to a popular weight-loss program after losing 40 pounds on my own and stalling out with any more weight loss. I lost another 70ish pounds, and that was about 6 years ago - and I haven't looked back. There's a common fallacy that losing weight is hard (which it IS!) ... but maintaining that loss should be easy, simple, no - hassle. NOT. WRONG. NOPE. NEIN. NO WAY JOSE. Enter.... one of the best weight management tools I've ever laid my little heifer hoofs on. What's this little magical Lovidia you speak of, head heifer? Lovidia Puts You in Control - Eat Less Without Feeling Hungry! Lovidia is a patented formula that uses Gut Sensory Modulation™ (GSM) to reduce hunger. In the simplest terms, Lovidia helps you feel satisfied with fewer calories, making you feel as though you’ve eaten more than you have. This allows you to reduce the amount of food you eat without feeling hungry. And when you can cut calories without feeling hungry, it’s easier to lose weight. The Lovidia Difference! Lovidia is not a drug, and it doesn’t come with a long list of unpleasant and possibly dangerous side effects. It doesn’t contain caffeine or other stimulants, fat blockers or diuretics. 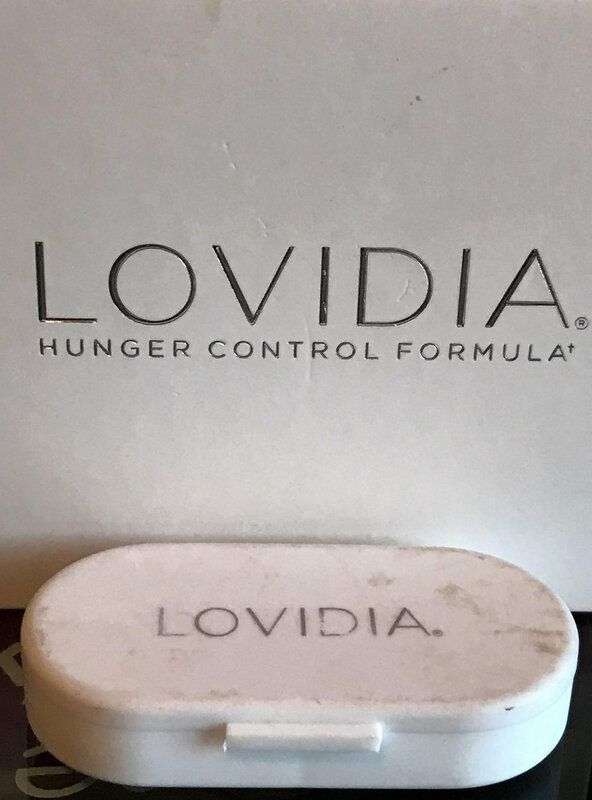 Lovidia’s proprietary hunger-control formula contains only natural GRAS (Generally Recognized as Safe) ingredients, so it does not cause jitters or other unpleasant side effects typically associated with weight-loss products. Lovidia is an easy-to-take pill that helps you control your hunger and lose weight naturally. Lovidia is not a “magic pill”, i.e., a pill that allows you to eat whatever you want and as much as you want. There is no magic pill and there will never be a magic pill. The ingredients in Lovidia have been clinically tested in multiple double-blind, placebo controlled studies and have been shown to be both safe and effective. Take one Lovidia tablet with breakfast and one Lovidia tablet with lunch. Swallow the tablet whole with a full glass of water. Now. Why do I love it? Because, crazy as it seems, THIS STUFF WORKS. I was skeptical. I was. I even told Marty, the prez of the company, that his little fancy skittle pills didn't interest me. :-) No really, I did. Then a year later, I agreed to try them. Imagine my shock when they actually worked. (Disclaimer: I received this product to sample in an exchange for my honest review). And I LOOOOOVE it. Of course, I wanted to see some SCIENCE behind this magic pill. Because really, there is NO MAGIC PILL. (And there's not, this stuff isn't magic - it's a TOOL). If you're looking for the "how does this work" aspect - have a look HERE. Here's the breakdown, the heifer-dealio. It controls my hunger. Short and sweet. I take it when I'm supposed to, and I'm just not hungry. Plain and simple. Does it negate emotional eating? No. But it makes life a WHOLE heck of a lot easier because my mind is not focused on food all the time. The little carrying case is well-loved, I keep it with me in my purse and it's always got my Lovidia inside. So yeah it's a little dirty. I do love the case though - very small and goes everywhere with me. It takes the guesswork out of eating for me - I eat right, I eat proper portions, and in between when my MIND would normally tell my body it's hungry (which, really it's not - it's thirsty, etc)... I'm just not hungry. I don't THINK about food and therefore, I'm not eating mindlessly. Lovidia helps control my hunger and is the best tool in my weight maintenance toolbox! If you're on the fence about trying Lovidia - feel free to use my discount code runheiferrun20 for a 20% discount. Good thru 1/31/18.